Read the studies, speak to the experts, move away from knee-jerk reactions and the truth is that China is not the number one culprit. Yes, there was a time when it was seen as a virtual panacea. Li Shizhen's 1597 Bencao Gangmu prescribed it for almost everything: from “devil possession” to “typhoid, headache and feverish colds”, “carbuncles and boils full of pus” and “arthritis, melancholia, loss of the voice”. Today, Vietnam controls the market for roughly two-thirds of the trade. This is not to say that China isn't involved: much of the remaining third is used inside the country. But Vietnam's population is a little under 89 million. China's is over 1.3 billion. Comparatively, in other words, China has things under control. Why the focus on South Africa? Vietnam's Javan Rhino went extinct in 2011. Four of the last seven Northern White Rhino (and the only ones able to breed) are under 24-hour armed guard in Kenya's Ol Pejeta conservancy, making them officially the rarest mammal in the world. This leaves 80% of the world’s remaining rhino in South Africa, and it is here that the majority of the poaching is happening. This is where WildAid's campaign comes into play. Under their slogan “When the buying stops, the killing can too”, the organisation is attempting to quell public support for all aspects of the illegal wildlife trade: rhinos, elephants, tigers, sharks and other species. Last year WildAid took him to Africa to witness the impact of the rhino and ivory trades first-hand. In the blog he kept while visiting, which was viewed over a million times, Ming wrote: "From my trip it’s clear that South Africans feel the same way about their rhinos as we Chinese do about our pandas... this [poaching] is not acceptable and is damaging China’s relations with our friends and trading partners in Africa. We would be outraged if people were killing our pandas, we should be just as upset with what’s happening to rhinos and elephants in Africa." For China, which has a huge and growing investment presence across Africa, distancing itself from the trade could pay off in terms of positive PR. 'Our line is not that China is the biggest problem,' Knights said, 'but rather that China has a chance to lead'. OMG founders Carter (age 12) and his sister Olivia (age 10.5) agree that the best way to change the situation is with education. they have created a Rhino Letter Writing Campaign which is asking people from all over the world to send them letters addressed to president Jacob Zuma of South Africa. We hope you too will consider sending them your letter as well so we can show the South Africa government that the whole world is asking him to get involved before it is too late. 很高兴读这篇文章，因为这一直是我所思考的问题。我们不能通过成人改变现状，但我们可以通过儿童来改变未来。《邦吉的追求》是一本关于犀牛困境的教育儿童的故事书籍。故事鼓励对犀牛的爱，有助于理解因偷猎所造成的犀牛困境，并且塑造了一个拟人的小犀牛邦吉。小朋友可以因为同情邦吉而产生拯救邦吉们的想法，使他们长大后不会成为猎杀着或者犀牛角的使用者。目前这本书已被翻译成很多语言，并且在猎杀犀牛最为严重的克鲁格国家公园也被广泛传播，1000中国译本也即将销往中国香港。我们希望通过这股教育浪潮能够将越南语译本也在越南推广。如果你感兴趣加入我们或者帮助我们加速这个进程，请点击：www.AfricanEducationalStories.co.za or www.facebook.com/groups/BongisQuest for more info. This was a joy to read, cos has always been my thought as well. We cannot change the present through adults, but we CAN change the future through children. Bongi's Quest is an educational childrens story book that has been written to educate children about the plight of our rhino through a little bushveld story. The story generates the love for rhino and and understanding of the poaching delema and creating a personality around the little rhino Bongi, children can then relate and become compassionate to save "Bongi" and other rhino by not becoming a poacher or rhino horn user. To date the book has been translated into many languages, is being spread around the villages on the boundary of the Kruger National Park (the poaching hot-spot) at the moment and 1000 Chinese versions have already made their way to Hong Kong. We hope to start the wave of education here and push it out in time in a Vietnamese version into Vietnam as well. If you wish to get involved and help speed up this educational drive, head to www.AfricanEducationalStories.co.za or www.facebook.com/groups/BongisQuest for more info. Excellent articles on a number of creatures. 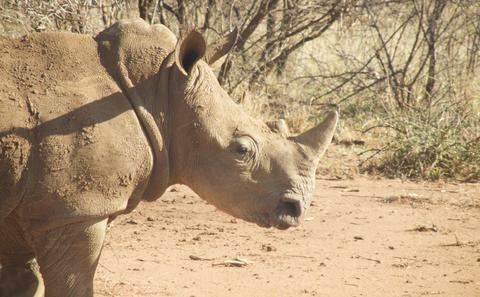 Thank you for the enlightenment on China, with regard to Rhino horn and statistics. Correct facts and figures and other issues! So China is accepting that 25% of the horn from poached rhino reaches China..... this equates to 279 rhino over the last two years (167 from 2012 & 112 from 2011) and is, as such, still guilty of involvement in the rhino trade. Furthermore what has become of the 187 live rhino exported from RSA to China from 2006-1210............ are they being farmed?............. Are their horns being shaved? If the answer is yes........ why is this the case if there is no trade in Rhino Horn, little involvement in the current escalating poaching crisis and the Chinese Government slapped a ban on rhino horn in 2003............ It is clear to me that the ban is not being enforced and why would that be? I am loathe to suggest a reason although in Africa I would suggest corruption at Governemt level!